A longtime favorite among PC users, the third edition of the book now contains useful information for people running either Windows or Linux operating systems. Written for novices and seasoned professionals alike, the book is packed with useful and unbiased information. 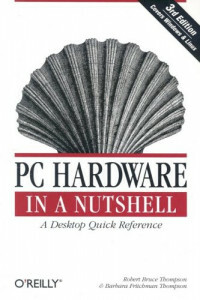 In addition to coverage of the fundamentals and general tips about working on PCs, the book includes chapters focusing on motherboards, processors, memory, floppies, hard drives, optical drives, tape devices, video devices, input devices, audio components, communications, power supplies, and maintenance.